Buenos Aires, 21 November 2018, In a press conferences jointly organised by the Global Lottery Monitoring System (GLMS) and the Association of Argentinian Lotteries (ALEA), a series of high level speakers discussed issues related to illegal sports betting regulation and sport competition manipulations in Argentina, a country that has experienced over the last months a number of relevant scandals, notably in tennis. GLMS President, Ludovico Calvi, highlighted the need for strong regulatory frameworks and concrete measures against illegal sports betting, as also called for by the Council of Europe Convention on the manipulation of Spot Competitions. This was seconded by CP Silvio Vivas, of ALEA, who joined their voices for such measures, particularly because sports betting is currently not authorised in the country. 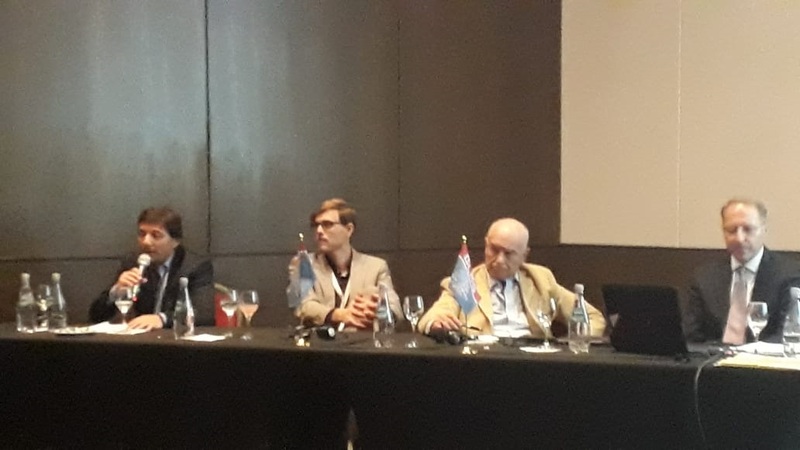 Dr. Luis Cevasco, from the Argentinian Ministry of Justice underlined that this is a matter that should not be on the table for discussions and disagreed regarding the level of involvement by the Argentinian State on legalising betting. He raised also issues regarding the social costs in relation to compulsive betting, as well as the ability to measure this phenomenon. Friedrich Martens from the International Olympic Committee (IOC) also underlined the role of education and prevention, referring to the relevant activities of the IOC, in the field and pointed out the importance of all private and public stakeholders, including Lotteries, regulators, law enforcement agencies and sports movement to work together towards this direction. He also took the chance to inform of the ways young athletes were informed on the matter during the Youth Olympic Games 2018 in Buenos Aires. GLMS President, Ludovico Calvi, stated after the event: “I would really like to thank ALEA for the co-organisation, all speakers as well as journalists and the active participants for this fruitful discussions. It is clear that stakeholders in Argentina understand the importance of taking serious steps against this phenomenon, including measures against illegal sports betting, manipulation of sports competitions as well as strategic education and prevention initiatives. GLMS will continue to pursue its mission of safeguarding Sport Integrity and Sport Values relentlessly everywhere in any form and in any continent”.